Originally dubbed "The Tortoises" by Columbus, these three islands received their later name from English explorer Francis Drake in reference to the alligator-like reptiles that haunt the waterways of Central and South America. 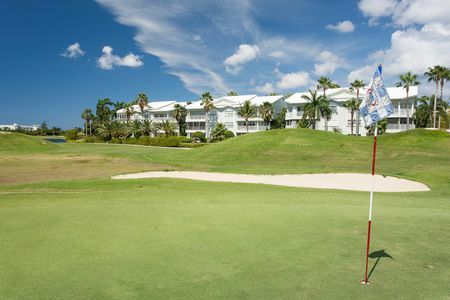 The Caymans are renowned as places where the wealthy stash their cash, and this British protectorate near Cuba and Jamaica is as a result the wealthiest spot in the Caribbean. Part of that wealth also comes from tourism, since the islands offer tourists peaceful beaches, spectacular reefs, outstanding food and a vibrant club scene. Grand Cayman is the largest of the three islands, and is renowned for its sickle-shaped Seven Mile Beach, one of the most admired anywhere in the region, though it is, surprisingly, rarely very crowded. Cayman Brac and Little Cayman are considerably smaller, the latter being one of the lesser known treasures of the central Caribbean. 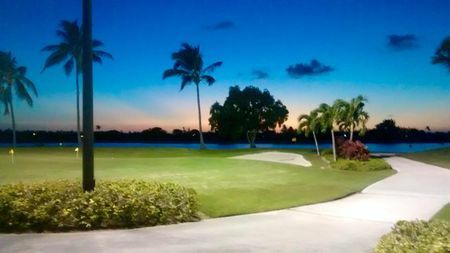 There is golf to be had here, though nobody comes to the Caymans just to play. But players can certainly squeeze in some pleasurable rounds between trips to the beach. There are a couple of 9-holers, at Britannia and Ritz Carlton. The latter of these is a 3500-yard, par 36 design by Greg Norman, with water, water everywhere, and usually some wind; it is also well maintained. Britannia's 9 holes aren't quite up to the same standard, but they are quirky and fun. 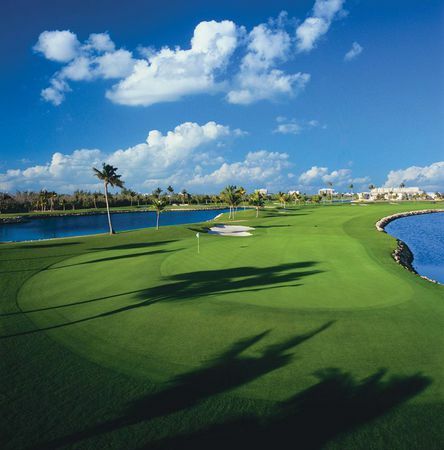 There is also one full-sized course in the Caymans, a par 71, 6600-yard layout at North Sound Golf Club, where play is also defined by water and wind; the standout hole here is the 11th, where you'll need all your strength just to make par.